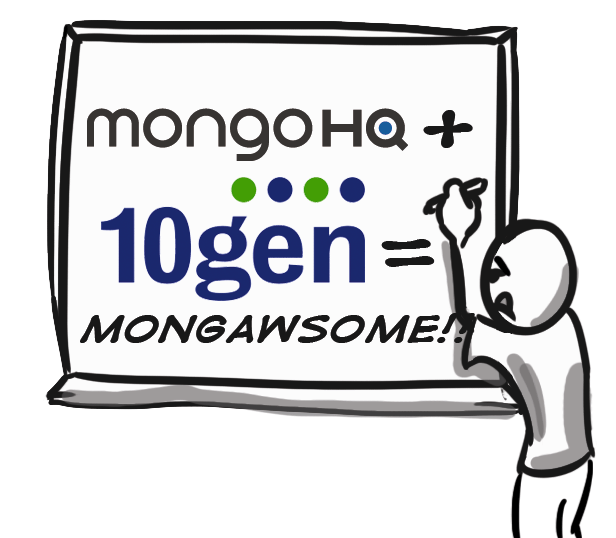 The team at MongoHQ is proud to announce a partnership with 10gen, the creators of MongoDB. This partnership will help expand MongoHQ’s professional support and expertise by providing critical access to 10gen’s 24/7 support and engineering teams. This will also allow us to provide deeper support offerings, and handle even larger and more complex MongoDB setups. What this means for you as a user of MongoHQ, is even more peace-of-mind. You are not only working with the best MongoDB hosting team available, but you will have the experts that created MongoDB backing them up as a third tier. Whether you have huge custom installations, or smaller shared databases, you will benefit from even greater uptime and reliability. Our focus is offering the best customer experience possible and by expanding the capacity of our relationship with 10gen, this is a big win for our customers. We have come a long way since the pre-1.0 days of MongoDB and the product and community that now exists has made it all worthwhile. More details on this new arrangement will be announced soon.